Shopping for Educational Toys Educational Toys? 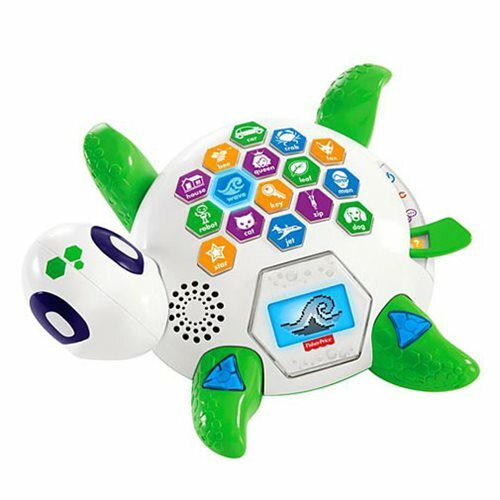 The Spell and Speak Sea Turtle makes sure your little one can learn the fun way! This adorable Sea Turtle helps kids make stronger connections to their first reading words by seeing them, hearing them, spelling them, rhyming them, and seeing a picture to help identify them. And like any good teacher, he makes it fun! Using text and fun animations, you can choose between three modes to teach your little student the basic building blocks of literacy. Help your child learn and grow with this Think and Learn Spell and Speak Sea Turtle!